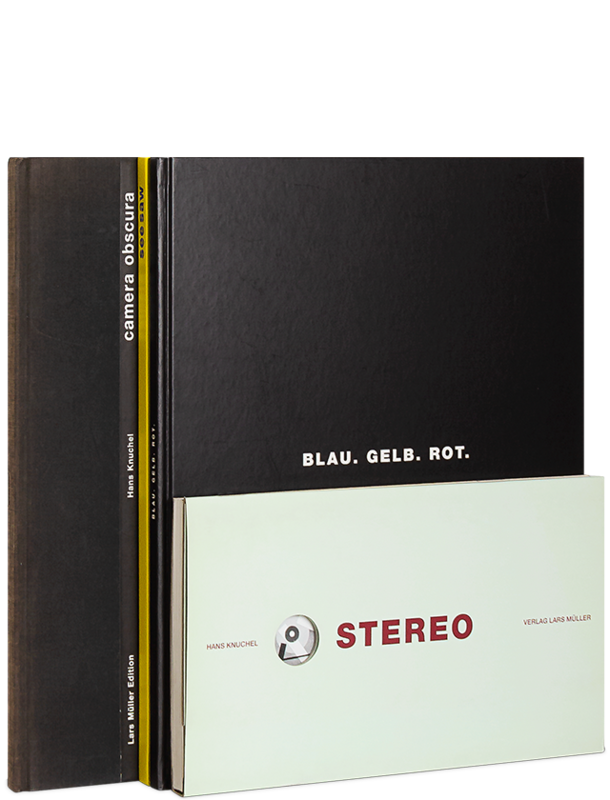 Stereo is a classic among stereo publications and an invitation to the viewer to transcend the boundaries of experience and expose himself to an adventure that expands perception by dimensions. Camera Obscura shows how we would perceive the environment if we had eight eyes like spiders, compound eyes like insects, or slit pupils like cats. In blau gelb rot an artist and a mathematician experiment with color. Using different strategies to cover a surface, such as linear or exponential generators, they simulate color combinations. The last book is a Seesaw; it will not work without players.